A monthly Welsh language temperance periodical that circulated in south Wales. The periodical's main content was articles on temperance and it was edited by the minister, David Rees (1801-1869). 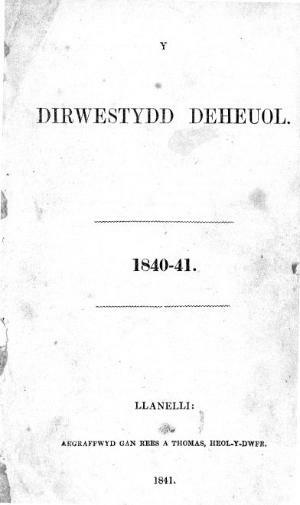 Associated titles: Y Dirwestydd Deheuol (1840).